Just as a power station requires gas or coal to power its turbines and generate energy, so do humans need fuel in form of food to power our continual existence. More so, the foods we eat make our body work, grow and repair itself, and the kind of meals we take even determine how effective the above process is. Today, we will be taking a look at one food that is very rich in nutrition, though underrated and that is Brown rice, popularly referred to as Ofada rice in our country. 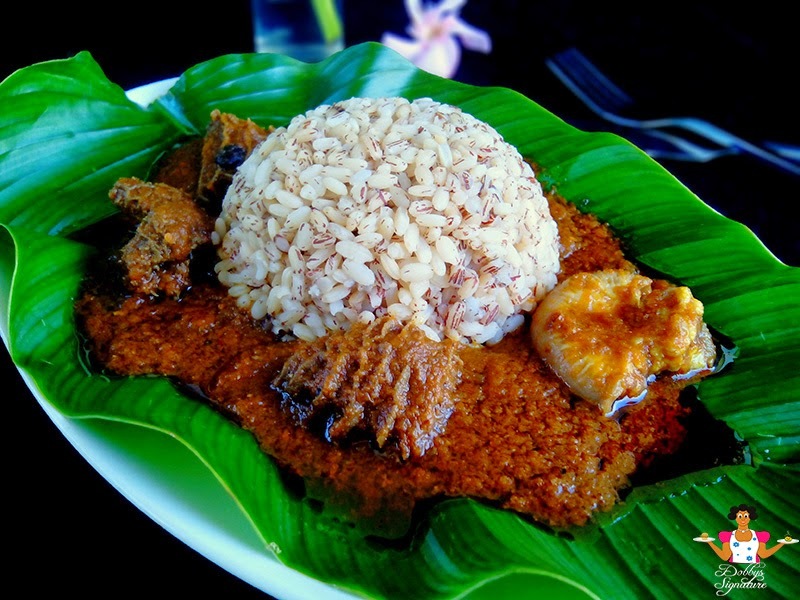 Ofada rice is a local variant of Nigerian unpolished rice, which is non-genetically modified. It is the short robust and brown rice planted mostly in Ogun state and other parts of the country, both western and eastern Nigeria. The delicacy is very popular in both regions above too and people who eat it prefer Ofada basically because of its distinctive taste and healthy benefits, Ofada rice is good for those aspiring to lose some weight. Ofada rice has about twice the fibre content of regular rice (white rice). Fibre plays a significant role in our digestion process and as a result of this high fibrous nature of Ofada rice, it is known to be one of the most effective natural colon cleanser which aid in weight loss. The Brown rice controls blood sugar and diabetes, this is made possible because of the presence of soluble fibre. It also reduces the severity of asthma because of its rich source of Magnesium. Ofada rice is an excellent source of whole grain for people with gluten allergy and this can substitute for numerous whole grain foods. Ofada rice protects the body cancer particularly because it contains 20-30 times more anti-oxidant than white rice because of this value it substantially reduces risk of Colon cancer due to the presence of selenium in it. It is very rich in Manganese which keeps and makes our bones healthy and strong. Because of its richness in naturally occurring oils, which are healthy fats, Ofada rice helps to normalize cholesterol level in our body. Ofada rice heals Candida yeast infection because of its high rich fibre that can help sensitive digestive systems. Finally, Ofada rice is a Nigerian delicacy with highly nutritional values cannot be underestimated. It is a fantastic staple for both vegetarians and vegan diets. It can be used as a white rice alternative in most vegetarian recipes and provides a full, rich and somewhat nutty flavour. It can be served hot with “Iru” fried stew, fish and Ponmo or as you would like it.